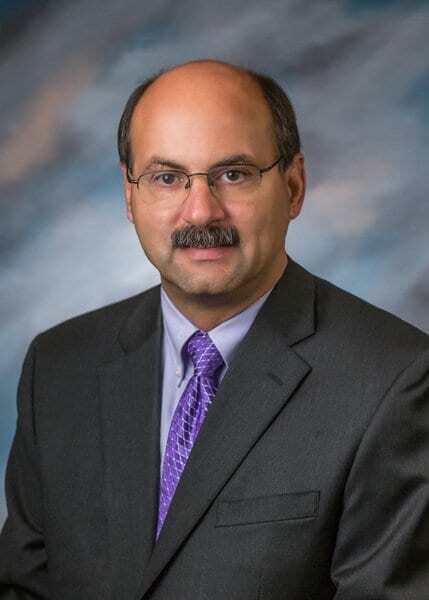 Dr. Steven Dandalides is originally from Chardon, Ohio–a small town in the Snow Belt 30 miles east of Cleveland and has been with Gastroenterology Associates of Tidewater since 1987. He is on staff at Chesapeake Regional Medical Center in Chesapeake, Virginia and Bon Secours DePaul Medical Center in Norfolk, Virginia. Philosophy: Dr. Dandalides believes in providing thorough and insightful evaluation of patient complaints using both his broad internal medicine training but also his more focused and in depth knowledge and experience in his chosen specialty of digestive/ liver disease and endoscopy. Conversations with patients are based on logical, easy to understand concepts and vocabulary. Medication recommendations are made with attention to out-of-pocket expense, and simplicity while not sacrificing effectiveness.